In business nearly 60 years, Crystal Pools is Australia’s longest operating and most experienced pool builder. 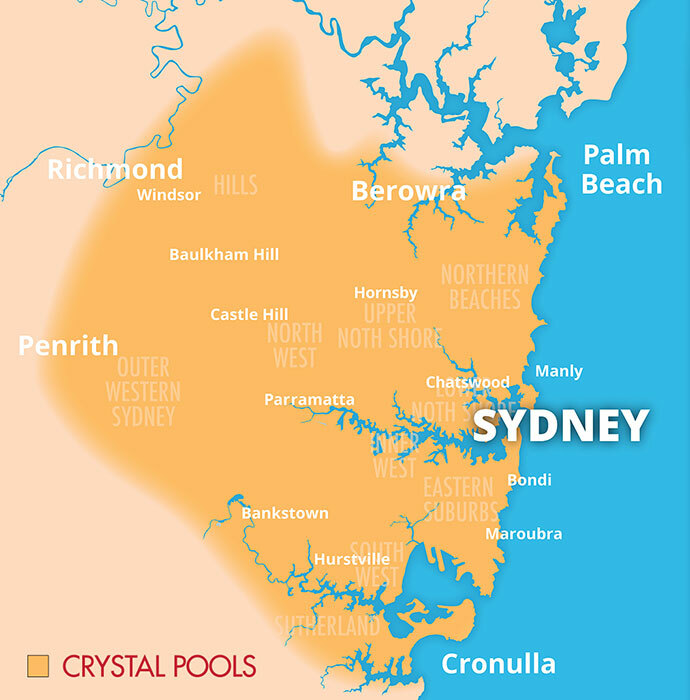 Crystal Pools is Australian owned and operated since 1957 . A financially solid company where the directors running the business work throughout the business. The best tradespeople in the business – master builders and craftsmen, many working with us for decades, not months. Crystal Pools has won more than 120 major state, national and international pool awards. Crystal Pools is a long standing member of the Master Builders Association and the Housing Industry Association. Our company philosophy is to deliver “quality without compromise”. Over the decades Crystal has experimented with other construction technologies yet remains convinced concrete inground pools are vastly superior to any other construction method available. Crystal Pools confidently backs its pools with the strongest warranties on the market. We offer a Council Compliance Service or a Council Approval Service and maintain an unmatched track record for delivering on-time and on-budget. Crystal Pools has its offices in Central Avenue Thornleigh and conducts onsite consultations for residential pools throughout greater Sydney. From Palm Beach to Springwood, Sutherland to Paddington, Crystal Pools designs and builds pools for any site, residential and commercial, as well as special plunge pools for small yards. The company’s residential pools are mainly built in the greater Sydney metropolitan area, whereas Crystal Pool’s commercial-sized works are carried out around the country. Need professional advice before the contract is signed? Crystal Pools will help. All visible costs will be included in our original proposal. Crystal Pools will identify any potential surcharges to a contract before you sign. Crystal Pools will comply with ALL the rules of the Department of Fair Trading, and will advise you of your rights under the act. Crystal Pools will always have a member of management available should our clients wish to contact them during the construction process. Crystal Pools warrants that we will always give the best advice, guidance and best overall value for money on every proposal we make. If at any time you don’t think we have made the best overall value for money proposition, tell us and we promise to make it right for you! Founded by the legendary Les Denton in 1957 Crystal Pools went on to build pools at Admiralty House and for famous aussies like Dame Joan Sutherland and Graham Kennedy. Les Denton was a true pioneer of the swimming pool industry. His business philosophy was to limit the amount of pools built annually to guarantee quality control. A philosophy we live by to this day. Over the decades we’ve literally seen hundreds of operators come and go, whilst Les Denton’s belief in ethical, honest and up-front pricing ensures our customers receive a quality product (and service) at the price that they expected. A better pool, yet at a similar price.